One of the great attractions of the San Francisco Bay area is a trip to Wine Country, and you can experience wine country while also helping Make-A-Wish Greater Bay Area. 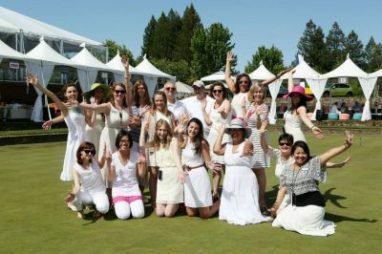 This year’s Wishes In Wine Country event will take all the best parts of Wine Country and turn it into a full day of fun, raising money and drinking great wines. Wishes In Wine Country takes place May 16 at the Sonoma-Cutrer Vineyards in Windsor, Calif., with two magnificent events: The Grand Tasting on the Lawn, from 2:30-5:30 p.m., and the Sunset Dinner from 5:30-9:30 p.m.
All Sunset Dinner tickets include admission to the Grand Tasting. The $300 Silver Ticket includes both events, and the $500 Gold Ticket also includes admission to the Friday night, May 15, VIP cocktail reception at Kosta Browne Winery in Sebastopal from 5:30-7:30 p.m. and VIP seat location at the Sunset Dinner. The $150 Bronze Ticket includes only admission to the Grand Tasting. There are also a limited number of group packages for up to 10 people. There will also be shuttle services available to and from San Francisco for people who are staying for both events on Saturday as well as those who will only be at the Grand Tasting. Make-A-Wish Greater Bay Area also has a limited number of hotel rooms available at the Hyatt Vineyard Creek less than 4 miles from the vineyard. Samplings of signature hors d’oeuvres and fine wines from more than 30 of wine country’s best wineries and restaurants in the newly expanded Grand Tasting, including the host vineyard, Sonoma-Cutrer. Experience croquet for yourself by participating with your group in a 20 minute game, guided by professional croquet players. Bragging rights and special prizes for the top players. A stellar silent auction for wines to stock your cellar, as well as unique experiences and coveted getaways. Enter the “pop of color” fashion contest! Show your style by integrating a pop of color – an accessory, wrap or whatever else you come up with – into your croquet whites outfit. The Sunset Dinner will be limited to 300 guests in a climate-controlled tent on the terrace overlooking the croquet courts. There will be a gourmet three-course wine country dinner featuring locally sourced fare and wine pairings. There will also be a live auction. You can still help to grant wishes for a local kid in your community even if you can’t attend this wonderful event. Consider making a car donation to Wheels For Wishes benefiting Make-A-Wish Greater Bay Area.